“We have pointed out even before that the government should address the shortages first before they throw money into the implementation of the K to 12 curriculum. It is like wasting money while nothing is being solved.” – France Castro, Master Teacher in Mathematics and ACT Teachers’ Party second nominee. MANILA – The Department of Education is implementing the second phase of the K to 12 curriculum in grades two and eight or second year high school for the academic year 2013-2014. However, France Castro, second nominee of the ACT Teachers’ Party and a Master Teacher in Mathematics said the problems identified in last year’s implementation of the new curriculum have not yet been addressed. “Teachers who attended the recent training said there is still no teaching module for grades two and eight. 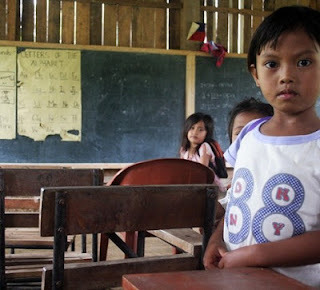 Modules for grades one and seven, which were implemented last year, are not yet complete,” Castro told Bulatlat.com. “It is much like going to war without weapons,” said Castro referring to the incomplete modules and textbooks for the implementation of the K to 12 program. “There is nothing new, really, as we said before, the implementation was in haste. There are not enough materials to use, and if there is, it is insufficient; not all affected teachers have their own copies,” Castro said adding that the burden to reproduce the modules is left to the teachers. Teachers also had to improvise because there are no teaching guides and modules for grades one and seven last year. Now, Castro said, teachers are facing the same problems. The K to 12 program is the flagship program of the government of President Benigno S. Aquino III. It initially implemented the first phase of the program for grades one and seven last school year 2012-2013, while the Universal Kindergarten was implemented earlier in school year 2011-2012. The implementation was started even before the K to 12 Act or RA 10533, the Enhance Basic Education Act of 2013 was signed into law by Aquino recently. “Naninindigan pa rin po tayo sa ipinangako nating pagbabago sa edukasyon: ang gawing itong sentral na estratihiya sa pamumuhunan sa pinakamahalaga nating yaman: ang mamamayang Pilipino. Sa K to 12, tiwala tayong mabibigyan-lakas si Juan dela Cruz upang mapaunlad – hindi lamang ang kanyang sarili at pamilya – kundi maging ang buong bansa,” (We are still true to our promise to implement changes in the education system. Central to this strategy is our investment in our most important resource: the Filipino people. With the K to 12 program, we are confident that we could equip Juan de la Cruz to develop not only himself and his family but the whole country as well.) the President said in his speech during the launching of the K to 12 program in April last year. But progressive groups are not convinced. They have pointed out, even before the Universal Kindergarten was implemented, that the so-called ‘education reform’ of the Aquino government would not solve the perennial problems of the education system in the Philippines. “We have pointed out even before that the government should address the shortages first before they throw money into the implementation of the K to 12 curriculum. It is like wasting money while nothing is being solved,” Castro told Bulatlat.com. Same as last year, teachers interviewed by Bulatlat.com said the curriculum for the whole school year 2012-2013 has yet to be finished. The implementation has also caused confusion as the mother tongue as a subject was introduced. “Some reports coming from teachers who handle grade one reveal that children are confused because of the use of the mother tongue,” said Castro. 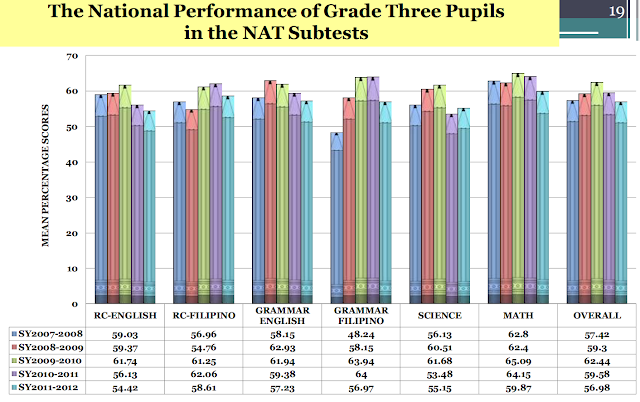 In the K to 12, mother tongue is a separate subject from grades one to three aside from Filipino. The medium used in teaching all subjects in grades one to three is also the mother tongue. For example, in the National Capital Region, the mother tongue is in Filipino, thus, the medium used in teaching subjects like Math, is in Filipino. By the third grading period, English is introduced. Louie Zabala, third year Social Studies teacher at the F.G. Calderon High School in Manila and president of ACT-Manila said for as long as the needed materials to teach the K to 12 curriculum, such as modules and other learning materials, are not complete then the objective to produce more competent students is futile. “Last year when the K to 12 curriculum was first implemented in grade seven, teachers were confused on how to teach using the new curriculum. The modules were distributed late, and when it arrived the copies were insufficient. The teachers have to shell out their own money so that they can have their own copies,” Zabala said in an interview with Bulatlat.com. He said the modules arrived by the second half of the school year, and by the end of the school year, the modules for the whole school year were still incomplete. Zabala added, “In the new curriculum, the teachers would have to involve students in activities rather than use workbooks. The teachers would have to use technology and other materials for better absorption of the learnings by the students. While the intention is good, however, teachers would have to produce the materials needed for the new methodology on their own. 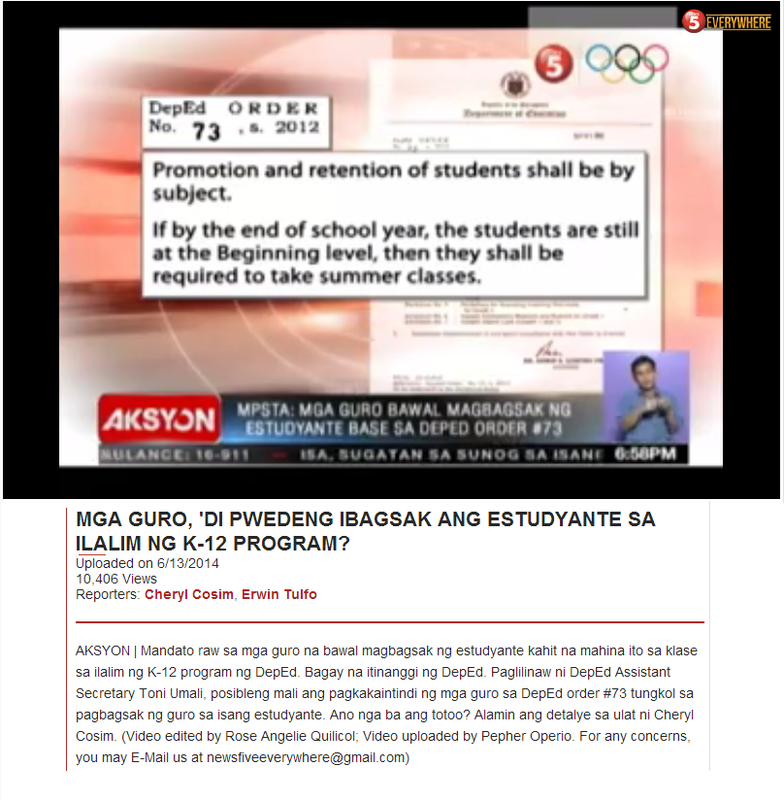 Once again the teachers would have to shell out or produce what they need from their own pockets,” Zabala said. “The solution of the government would always be not suitable or applicable to the existing problems for as long as the major stakeholders – the teachers, the students, and the parents – are not involved in planning and implementing such reforms. And as we have said before, the government would have to address the fundamental needs of our education system. It’s much like, before students learn about cosine or algebra or algorithm they would have to learn the basics of arithmetic first,” Zabala added. “The K-12 scenario bodes ill for millions of basic education students, as it adds more burdens while ignoring the chronic crisis in the country’s basic education system,” Kabataan Party-list said. The additional two years of the K to 12 program are called senior high school (SHS), comprising grades 11 and 12. The first four years, grades seven to 10, are called junior high school. Grades 11 and 12 students can choose from technical-vocational-livelihood; academic; sports and arts. According to DepEd, after finishing a technical-vocational-livelihood track in grade 12, a student may obtain a National Certificate Level II (NC II), provided he/she passes the competency-based assessment of the Technical Education and Skills Development Authority (TESDA). The NC I or Certificate of Competency (COC) is obtained after students graduate from grade 10. “The NC II improves the employability of graduates in fields like Agriculture, Electronics and Trade,” the government website read. “That is the main objective of the K to 12 program: to produce semi-skilled workers for the country’s supply of cheap and docile labor. At the age of 17 or 18, the youth would already be peddled to multinational companies. Where do semi-skilled workers go? To factories, to big foreign companies where they work as slave labor,” said Zabala. Zabala added that with the worsening unemployment situation in the Philippines, graduating from grade 12 is no guarantee that one would land a job. "“That is the main objective of the K to 12 program: to produce semi-skilled workers for the country’s supply of cheap and docile labor. At the age of 17 or 18, the youth would already be peddled to multinational companies. Where do semi-skilled workers go? To factories, to big foreign companies where they work as slave labor,” said Zabala." what do you think of this? is this an accurate statement? is it true? where should factory workers come from? is there a problem with factory workers? so do you believe this stuff? i assume you do, thats why you published it. the question is, why do you believe it? That arrangement worked relatively well in the United States during the 20th Century. The difference being is that their returning wartime veterans benefited from the GI Bill to go to college. Otherwise those who weren't eligible and didn't go to college during the war worked in the factories. Zabala is just being disingenuous. Companies can't take semi-skilled laborers anyway until they're of age, usually at 18, so you might as well make those kids employable by then. Even without K-12 and graduating earlier, all the so-called "professional or scientists who will help us industrialize the country" won't be able to do so because setting-up industries requires investors. It is that which this country is most lacking domestically. Our circumstances are different from America's during the Industrial Revolution. We might have rich and powerful families but none of them show the vision, desire, even the cunning of the likes of "The Innovators" or "Men Who Built America"; like Ford, Rockefeller, Carnegie, Morgan, and Vanderbilt. "Otherwise those who weren't eligible and didn't go to college during the war worked in the factories." and there were lots of these. Alot of women entered the workforce too, with HS educ, "semi-skilled" or even skilled. "Companies can't take semi-skilled laborers anyway until they're of age, usually at 18, so you might as well make those kids employable by then" this is another thing that K+12 provides. by the time they exit, they'll be 18, and (ideally) ready to enter the workforce is they so choose.